When it comes to baking, cookies are my thing. During the holidays, I will definitely bake pumpkin bread a few times, and once I settled on a really good recipe for cream cheese pound cake, I stopped experimenting. I'm not really a big fan of pies, so never tried to master them. For some reason, cookies were always easier to make, so I have spent more time over the years trying and perfecting recipes for many kinds. Today is National Cookie Day, which seems very appropriate to fall in December! This is the time of year I tend to bake more cookies than any other time. Not just for guests, but I always tote several containers of decorated Christmas tree shortbread cookies (recipe to come later in the month), Hello Dollies, peanut butter cookies, and other varieties when we go to Tennessee each Christmas. Since I don't finish my holiday TV tour until about a week before we go home, the Sewell kitchen will be a hurricane of cookie baking activity during that week. Here are few of my favorite recipes, some of which will find their way into my Christmas carry-on bag. 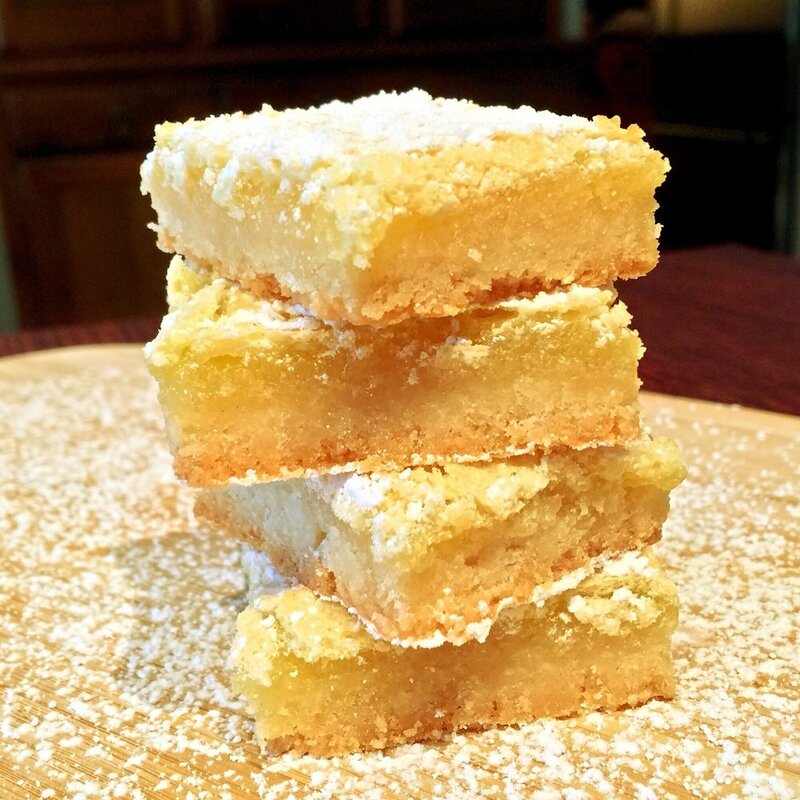 My mom made the best lemon bars, but she made only one pan each year - at Christmas. These chocolate chip cookies take a bit of planning to allow time to keep the dough in the fridge before baking - but trust me, it's worth the wait. If you're in a hurry, these are the world's easiest peanut butter cookies, and they only require five ingredients. Happy National Chocolate Chip Day! Did you know today is National Chocolate Chip Day? We celebrate all of the major holidays here in the Sewell home and the Shop with Style office. 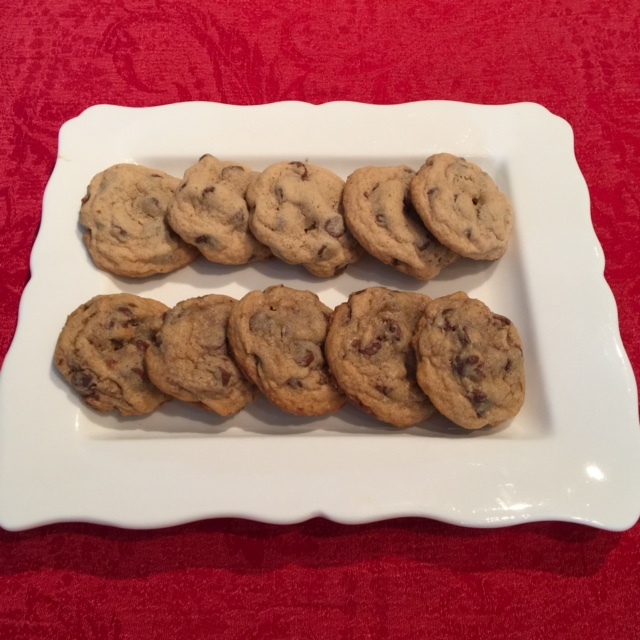 So I couldn't let the holiday pass without again sharing my all-time favorite chocolate chip cookie recipe. Nothing complicated here. Just a few simple tweaks to the classic Nestle Toll House recipe. Although I must disclose that there is a waiting period involved to allow the dough to rest in the fridge (and develop all of that rich, toffee goodness that makes these cookies so yummy). There is actually a separate Chocolate Chip Cookie Day - only 81 shopping days until August 4! - and while there are many uses for chips, 90 percent of the chocolate chips in our home go into this recipe. If you bake them, please comment below and let me know what you think. Happy baking! If you’re over your New Year’s resolutions – and have started eating sugar again - here is your excuse for breaking the fast. These tweaks to a popular recipe take chocolate chip cookies from merely delicious to absolutely decadent! Start with the Nestle Toll House recipe. You probably have it in your kitchen, but here it is. The recipe doesn’t specify, but use dark brown sugar instead of light. Make extra dough if you must for sampling. But this is seriously worth the wait. I don’t fully understand the science (this might help), but it results in a rich, toffee flavor and cookies that brown evenly. Every time. Finally, remove the cookies from the oven before they appear to be done. You might need to experiment with a few pans to figure out what works best with your oven. The recipe says to bake them for nine to 11 minutes, but I generally take them out of my electric oven after seven. Let them firm up on the baking sheet for several minutes before removing them to a cooling rack. And a look at the finished products. Same recipe, same batch, same baking time, same oven. The only difference is that the dough for the cookies on the top row was baked right away, while the dough for those on the bottom row rested in the fridge for three days. Both have that heavenly crisp-on-the-outside, chewy-in-the-middle texture, but the "aged" ones have a much richer taste. Please - do try this at home, and let me know what you think. Happy baking!